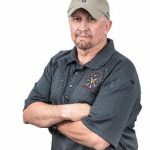 Brian served 20 years in the United States Air Force as an MH-53M Flight Examiner and Instructor Aerial Gunner. Brian has had a distinguished career in aviation operations as an operator, manager, and USAF Aircraft Mechanic. He has been involved in USAF aviation operations on a global scale since 1997. He is an expert in scheduling, training, operations and leadership. Over 1800 flight hours supporting worldwide special operations, airlift operations and flight training. Brian managed personnel, schedule, training and aviation operations, and equipment of numerous Air Force units. He oversaw the execution and program management of a 2500hr Flying Hour Program, supporting training requirements for 100 students yearly. All while he conducted platform and combat flight instruction during all phases of initial qualification, mission qualification, re-qualification & upgrade courses. Brian was qualified in MH-53 flight and ground operations. He is very experienced with GAU-2 Mini-gun and GAU-18 .50 cal. Machine guns, Ship Board Operations (single/multi spot), Cargo slings, Combat Rubber Raiding Craft, Vehicle Infiltration/Exfiltration, Personnel/Equipment Delivery, NVG Water Operations, Alternate Insertion/Extraction (AIE) qualified. Brian was responsible for training over 100 students in all phases of flight training. 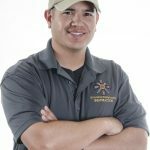 Brian has multiple Associates degrees in Instructor of Military Technology, Aircraft Armament System Maintenance, and Aviation Operations.